The design of binoculars as we know them today was invented more than 100 years ago by Carl Zeiss. This brand which is made in Germany, is the state-of-the-art in technology which involves design, ergonomics and optics. You will not find a brand more respected than Zeiss with its high end performance. The Zeiss Conquest 10×42 Binoculars that I am reviewing are considered the very best entry level solution (at $999.00) to Zeiss’ premium line of binoculars (ranging upwards to $8000 or more) without limiting any major advantages that you need in a good set of binoculars. The company realized that not everyone could afford their higher end lenses so they designed a lower end of high performance binoculars. These binoculars have an amazing high definition quality which brings you up close and personal to the beautiful birds that you want to see. 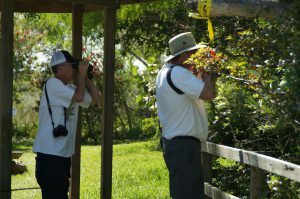 Plus their compact size and light weight at 2.6 pounds, makes it easier for you when you are walking the field searching for that Black Crowned Night Heron or the elusive American Bittern that is so difficult to find, rarely seen even when they are considered a common bird in the area. 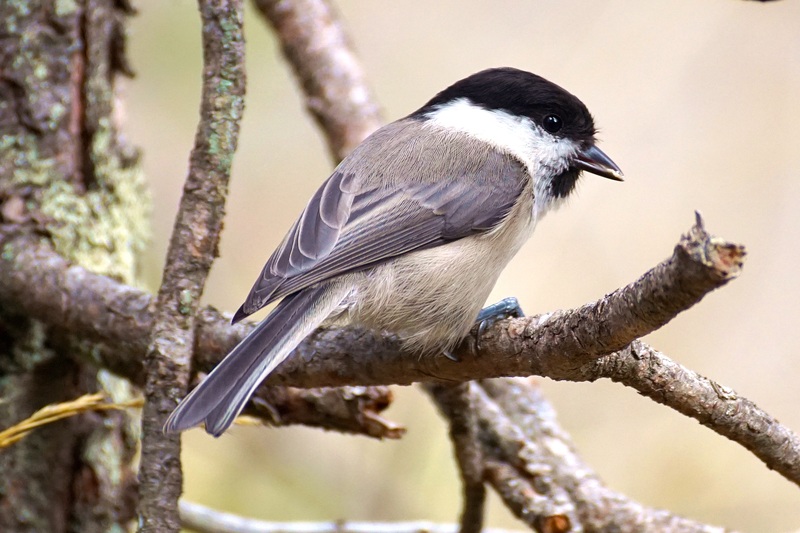 These birds are shy and prefer to stay in the thick of cover wandering cautiously rather than flying. But if you have the Zeiss Conquest 10×42 binoculars with you it will give you better opportunities to get these beautiful birds into view because of their amazing precision. Trust me the $899 price is worth paying when you can actually see such amazing, crisp views of the birds. Why Pay The High Price When You Can Get A Cheaper Pair? Yeah, the $899 is a little steep especially if you are on a budget. Yet, seasoned birders will tell you that you should always go for the highest priced set of binoculars that you can afford. I can agree with this because honestly, when my husband and I first started out with birdwatching, we would select the lower brand sets of lenses because we thought it was not worth paying the money when you can still see the birds you are going for. Yet, over time, we purchased quite a few pairs of these cheap binoculars because they would either break or the lenses just wore down and there was NO warranty on them. If you add all of that up you end up paying about the same price as you would on a better performing pair that has a life time warranty. 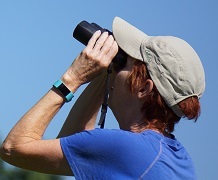 My husband finally realized that the higher end binoculars were Sooo…Much…Better when he borrowed someone else’s Zeiss binoculars to see a Common Golden Eye Duck out on a lake. It was Amazing for him to see the precision, the color, the very small details of the feathers of the bird. That is when he knew it was time to hit the big league and fork out the money for a good set of binoculars. They just happened to be the Zeiss Conquest 10×42 binoculars that he cannot live without. They are so worth the money! The Conquest 10×42 binoculars have a HD (high definition) system that provides exceptional true color quality and precision. They have a multi-layer coating that ensures light transmission of more than 90% which is the optimum requirements for impressive observation in twilight conditions. It has a comfortable focus system with a large focusing wheel that ensures easy handling, optimum grip and precise focusing even wearing gloves. It also has fully adjustable, locking eye cups, which are slightly slanted to allow for comfort when observing the birds. 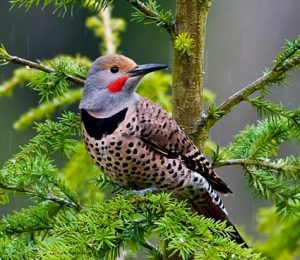 You will enjoy effortless viewing of your birds over a long period of time with the widest field of view in its class and with maximum brightness. At 345 feet the CONQUEST HD 10×42 offers the largest field of view too. This gives you an optimum panorama, even at long distances. With its increased magnification, you will be able to see the amazing detail on your sought after bird and justify that it is the one you were looking for. Enjoy clear visibility in any weather and easy cleaning. The LotuTec coating on it ensures that water simply rolls off the lenses and dirt can be removed easily and gently without a trace. The housing is made of high-quality aluminium. The inner workings are therefore perfectly protected, ensuring the long-term precision of the high definition lens system. Most of the reviews on the Zeiss Conquest 10×42 Binoculars are very good with a 5 Star Rating. Seventy five percent are very satisfied stating that the view is crisp and very clear and performs well in low lighting. They are very easy to focus, fit well in hands, and have good eye relief when wearing glasses. My husband especially agrees with that. They are great for the price and well worth the money. One of the lower star comments mentioned that they used a higher end quality of the Zeiss brand at $2500.00 and thought that they would get the same thing with the lower end Conquest at $999.00. As far as I am concerned you are comparing apples to oranges when you do this. There were a few people who complained that the lens covers did not stay on while walking in the field or hiking. My husband and I have never had this problem so not sure about that. 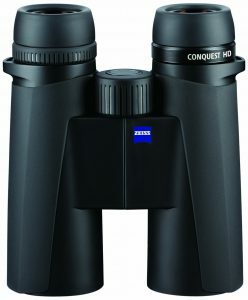 I rated the Zeiss Conquest 10×42 Binoculars 9 out of 10 and the reason is because of the fact that they are the lower end of the Zeiss brand binoculars. However, do not think that while they are the lower end of this amazing brand, that you will not enjoy the quality and detail of the birds that this set of lenses gives you. These are the binoculars that my brother- in- law shares with my husband when viewing a bird at long distances, because he knows he will get a closer view that shows more detail and color, making the viewing experience much more enjoyable. In fact he calls it the small telescope because the images are so sharp when long distance viewing. In addition, since these binoculars are lightweight weighing in at 2.6 pounds, you can easily walk for hours comfortably. Since the Zeiss name is a top quality brand you know you cannot go wrong even with their “lower end”. You can purchase one at Amazon for $899.00 with no shipping cost if you are a Prime Member. You will find that some of Amazon’s third party stores sell them a bit cheaper but in most cases you still have to pay shipping. Also, you can purchase a used set even cheaper for as low as $849.95 if you wish to go that route. Let me know if you have any comments about this set of binoculars. I would really like to hear your thoughts. You can comment below. ← Where are the Hummingbirds?